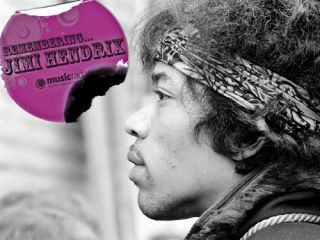 Next week, in celebration of Jimi's 27 short years on the planet, here on MusicRadar we'll be revisiting some of our most popular Hendrix features and guitar lessons, alongside brand new interviews with some of the world's greatest players. We'll be asking the likes of Steve Vai and Eric Johnson just what Hendrix means to them, catching up with Jimi's sister Janie in particularly candid mood, and finding out what Joe Satriani and Kenny Wayne Shepherd would include in their ultimate Hendrix playlists. What does Jimi Hendrix mean to you? But it doesn't end there. We also want you to tell us exactly what Jimi Hendrix means to you. Post your thoughts below or tell us on Facebook, and we'll chose a selection of the best comments to include in a special Jimi tribute article marking 40 years since the passing of one of popular music's handful of true visionaries.